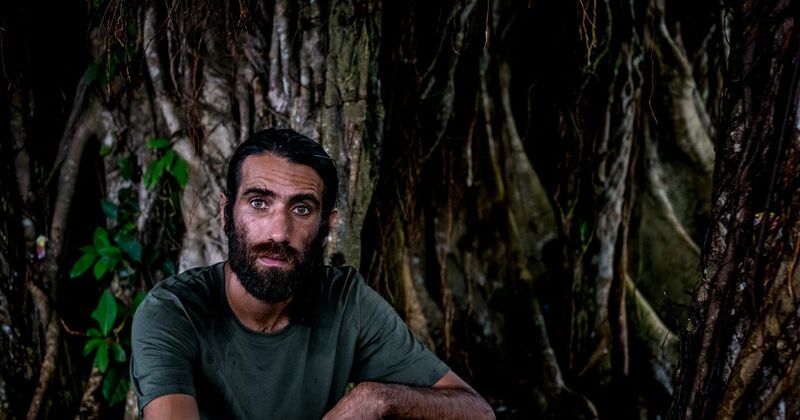 The prestigious award, selected from a short list of winners in other categories, grants the winning author 125,000 Australian dollars (about $90,000) and counts the country’s most prominent writers among its recipients. Aura ONE KA1 Teardown Link? In this week’s installment of Friday Night Lights, I will recap some of the honorable mentions at SHOT Show. This 2019 Shot Show Roundup will showcase items regarding the latest in night vision, lights, and lasers. 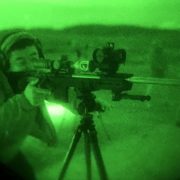 2019 SHOT Show – Night Vision Photonis Photonis is the only real competitor to L3 in making image intensifying […] Read More … The post FRIDAY NIGHT LIGHTS: 2019 SHOT Show Roundup appeared first on The Firearm Blog. 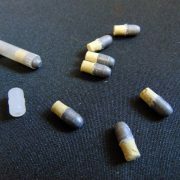 The caseless, tiny .22-caliber lead projectile fired from the Daisy V/L rifle of the 1960s used a nitrocellulose-based propellant which was molded, hardened, and affixed to the rear of the bullet—it was activated by a burst of compressed air. Once the projectile and propellant were mated together, the final product was a type of caseless […] Read More … The post POTD: Daisy’s V/L Caseless Ammo appeared first on The Firearm Blog. 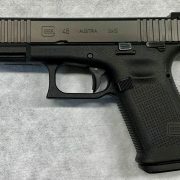 The German state of Saxony-Anhalt have announced the adoption of the Glock 46 as their next police sidearm. The new Glocks will replace Saxony-Anhalt police’s current SIG Sauer P6s. The SIG’ have been in service for nearly 30 years and nearly 6,500 new pistols will be needed to replace them. The contract represents the first time a […] Read More … The post German State Police Adopt NEW Glock 46 appeared first on The Firearm Blog. OPSGear Warehouse Liquidation – Everything super cheap What the deal is and why it’s a good one: Yeah, I just combined those headings. It’s the wild west out here. OpsGear is apparently liquidating their warehouse inventory, which means tons of goodies for you. So what is on sale? 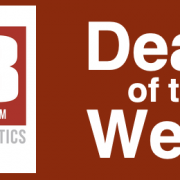 All kinds of gear and gadgets and […] Read More … The post Featured Deals of the Week: 2/1/19 appeared first on The Firearm Blog. I am not sure if I posted this before but "The Troop" by Nick Cutter was amazing. I read it for Stephen King recommended it. I am rather numb to horror but this book really got under my skin. Super horrifying. Bloody disgusting too but that made it fun. Not for the sensitive reader. [SHOT 2019] Kinetics Development Group – SCAR Rails get Pimper? In this episode of TFBTV’s continuing SHOT Show 2019 coverage, Brannon LeBouef speaks with AJ from Kinetic Development group about their new SCAR rails. Things get lighter and smaller and \now with MOAR M-LOK! ««« PATREON GIVEAWAYS »»» Go to http://tfbtv.gun.team for details on our monthly gun giveaway. TFBTV is giving away one gun a […] Read More … The post [SHOT 2019] Kinetics Development Group – SCAR Rails get Pimper? appeared first on The Firearm Blog. In this episode of TFBTv’s coverage of SHOT Show 2019, at Range Day, Brannon LeBouef talks with Brett from Dark Storm Industries about their new .458 SOCOM AR pattern guns. Big bore performance in an AR-15 pattern rifle. they also have a full line of AR pistols as well. ««« PATREON GIVEAWAYS »»» Go to […] Read More … The post [SHOT 2019] Dark Storm Lightning in .458 SOCOM Rifle & Typhoon DS-15 Pistol appeared first on The Firearm Blog. In this episode of TFBTV’s SHOT Show 2019 coverage, Brannon LeBouef speaks with Daniel of HOLOSUN about some new titanium optics, new green reticles in optics, and some brand new offerings in the magnification and red doc realm. ««« PATREON GIVEAWAYS »»» Go to http://tfbtv.gun.team for details on our monthly gun giveaway. TFBTV is giving […] Read More … The post [SHOT 2019] HOLOSUN Goes Green & Titanium appeared first on The Firearm Blog. The current sorting disregard articles, "The" and "A" but is there a way to include sort with articles?